"THE MID-SIZE SEDAN THAT HAS IT ALL"
Stop/start technology is an innovative way to help you save gas. Here’s how it works: When the brakes are applied and your car comes to a stop, the engine can automatically shut off. Features such as the audio system, climate control and lights remain unaffected. Malibu offers an EPA-estimated 36 MPG on the highway and it all starts at the heart of this 2.5L 4-cylinder. Refined and efficient, this engine is designed to help you save gas. When it comes to city efficiency, here’s how: With stop/start technology, stopping is what keeps you going. The engine can automatically shut off when the car is stopped. When the brake is released, the engine restarts seamlessly. So smooth, you’ll barely notice the transition. Smart. And just another way Malibu delivers precise engineering. The slightest tap of the gas pedal will reveal Malibu doesn’t skimp on power. The standard ECOTEC® 2.5L DOHC 4-cylinder engine with Direct Injection and Intake Valve Lift Control offers enhanced fuel efficiency and lower emissions while enhancing low-rpm torque. 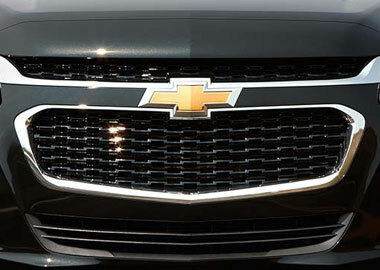 This provides a greater feeling of power at lower speeds while still delivering 196 horsepower (LS, LT and LTZ). When the Intake Valve Lift Control system operates in low-lift mode, the engine pumps only the air it needs to meet the driver’s demand. This allows for greater performance at lower speeds and offers excellent fuel economy. The system automatically switches to high-lift mode at higher speeds or under heavy loads, providing the full output capability for the engine. Simply put, Malibu has the power you want and knows when you need it most. The exhilaration of V6 power, packed into a fuel-efficient 4-cylinder. This available 259-horsepower turbocharged engine has a segment-leading 295 lb.-ft. of torque — better than even 6-cylinder competitors. It’s all the fun without extra fill-ups, thanks to EPA-estimated 30 MPG on the highway. Every line has meaning. Every curve has cause. Yes, the 2015 Malibu is easy on the eyes, but it’s more than just a mid-size car with good looks. 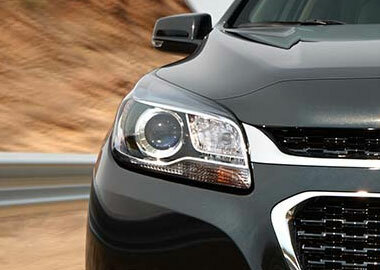 Aero-optimized rounded corners, head lamps and side mirrors allow the car to effortlessly slice through the air. Bold lines and sporty exterior design support aerodynamics while the refined front fascia and front-grille instantly grabs your attention. Aerodynamic details guide airflow seamlessly around the vehicle body to help increase fuel efficiency. 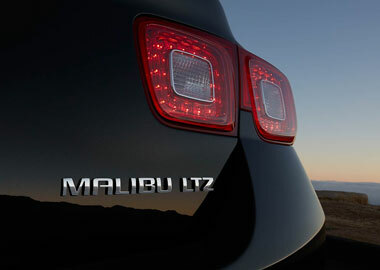 The elegant presence of Malibu moves you forward, while allowing the world to flow easily around you. Available Chevrolet MyLink allows you to make phone calls, select radio stations, choose music from your mobile device, access navigation and more. Keep in touch on the go while your hands are safely on the steering wheel with Bluetooth® wireless technology for select phones. With a true fixation on details, Malibu offers refined surfacing with premium materials and available rich appointments. The sleek interior features an acoustic-laminated windshield for a superb level of quietness as well as low-gloss surfacing and soft-touch tactility. The precision continues with a sophisticated dual-cockpit design and ice-blue ambient lighting on the instrument panel and doors, standard on LT and LTZ. This Malibu is synonymous with expressive interior and attention to detail. Offering optimal leg room comfort, the sport-sculpted seats allow for long-distance relaxation and rear-seat space. The front seatbacks are shaped to accommodate knee room, while cushion sculpturing allows passengers to sit deeper in the rear seats for superb comfort. The center console armrest provides additional support. In addition to premium comfort, plenty of storage options provide even more roominess for your practical needs. A pair of cup holders and dedicated storage for two cell phones give your belongings a home, even while you’re on the road. Offering even more storage options, Malibu features rear 60/40 split-folding seatbacks so you can customize the space and fit your needs perfectly. Whether it’s thoughtful compartments such as behind-screen storage or a spacious interior that continues to the trunk, Malibu is equipped with accommodations. Protection is great, but prevention is better. The 2015 Malibu was designed with that in mind, offering technologies that can help avoid collisions altogether, including 4-wheel antilock disc brakes, and the StabiliTrak® Electronic Stability Control System with Traction Control. Chevrolet takes safety seriously, which is why 2014 Malibu achieved a 5-Star overall NHTSA safety rating. In the event of a collision, Malibu is equipped to help protect you and your passengers. Malibu provides 10 air bags† including knee air bags for the driver and front passenger. Structural integrity of the vehicle is important during a collision, and this mid-size sedan provides an extremely strong, stiff body and an ultra-high-strength steel safety cage, along with rollover protection.